Last Wednesday, the Encinitas City Council united behind a future housing plan. After more than six years of hand-wringing, housing plan restarts and dozens of community meetings, the City of Encinitas is now one step closer to complying with the law. After considering four maps for the placement of future housing, we chose the one considered the “environmentally superior alternative,” meaning it creates the least amount of traffic, pollution and aesthetic concerns. It provides the possibility for about 1,900 new units of housing on 13 sites, upzoning less than one percent of the city’s land. 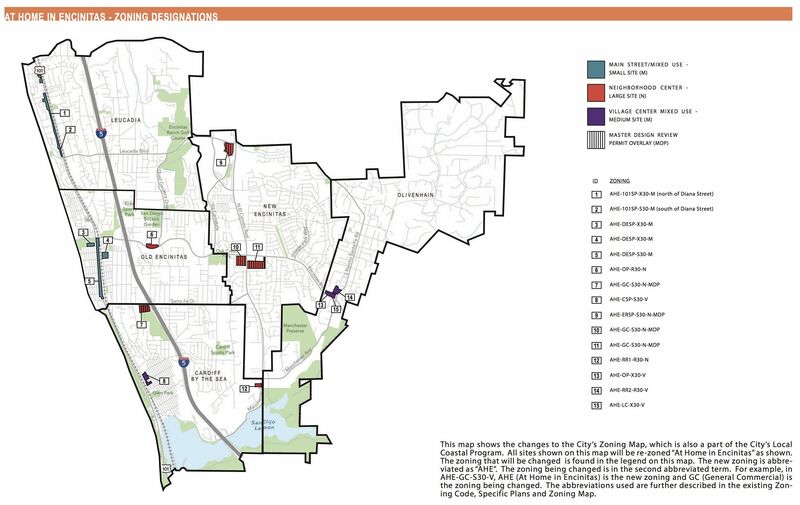 The Planning Commission unanimously approved this same housing map in May. I support the plan because I believe it’s irresponsible as a city leader to do otherwise. I’m a realist, and we have to live within the confines of state laws. We have to provide the zoning for future housing in our city. State law doesn’t require that the city construct housing, as market forces will determine whether property owners pursue projects. Instead the city needs to have a zoning code that states where future housing could be located. Facing strong vocal opposition to earlier housing plans in Encinitas, the city missed the 2013 deadline for state certification. We’re now the only city in San Diego County, and one of only a handful statewide, that doesn’t have a plan approved by the state. In the last year, we’ve been sued twice for the city’s failure to be in compliance. Defending these claims wastes the public’s money on attorney fees that grow by the month. Several months ago I was forwarded an email from a law firm looking for a plaintiff to sue the City of Encinitas. The solicitation asked for someone who wanted to live in affordable housing in Encinitas but couldn’t find any here. Census numbers indicate that despite our high land values, 30 percent of the Encinitas population qualifies for affordable housing. These families and individuals include seniors (often on fixed incomes), female-headed households, service employees, public safety workers, artists, and others who are part of the fabric of Encinitas. It’s not hard to imagine that it would be fairly easy to find a plaintiff. The affordable housing advocates and developers who pursue these claims have a case against the city because our housing plan hasn’t been updated since 1992. Someone asked me this week what would happen if we just said No, and ignored this law. The answer is that we’d lose local control of our zoning. There’s nothing that would destroy our cherished community character faster than having a judge, or a state bureaucracy, make decisions about our future housing. Bottom line: we’re not going to escape zoning changes in Encinitas. We can either figure out a way to get compliant with state laws on our own, or we’ll have the decisions made for us by outsiders after an expensive and all-consuming process. Cities are required by the state to provide the zoning for housing at all income levels. We have plenty of zoning and homes for upper and moderate income residents. What we lack is zoning for lower income households, which is high-density, in the 20-30 dwelling units-per-acre range. Think about Pacific Station in downtown Encinitas for an example. High density is supposed to be more “affordable” because the units are smaller and more compact. So the state gives us credit for “affordable housing,” even though in reality what is more likely to get built in Encinitas is high-density, high-income housing. Here is a link to the map that we approved (it’s a 22MB download; the sites are on pages 235 to 240). Of the four maps presented to us as options, the City Council agreed with the Planning Commission that the Sustainable Mixed Use Places map was the best choice. Growth is concentrated where we already have development, for example in downtown areas and near transportation corridors like the transit center and the I-5 freeway. It spreads the upzoned sites among all five communities and doesn’t put all the potential housing units in one community or along a single corridor, such as El Camino Real in New Encinitas — something an earlier plan did. The City Council’s endorsement of the map is a critical step, but not the final word. Now it will be on the November ballot and Encinitans will hopefully approve it. If they don’t, our specially hired land use attorney predicts that a judge will likely override the voters and require us to approve the map, or worse, we’ll be forced to accept zoning changes that we like even less, or even worse, we’ll have our zoning authority removed until we have an approved housing plan. Removing the city’s zoning authority means that a resident who wanted to get a minor permit to remodel a home wouldn’t be able to do so because the city wouldn’t have authority to approve it. This should be avoided at all costs. One important change we made was to remove the possibility of a third story in the downtown Cardiff area, specifically the Seaside Market and V.G. Donut & Bakery shopping centers. We didn’t have the power to completely remove any of the sites from the map but we could reduce the maximum height. Mixed-use development (commercial shops on the bottom floor and apartments or condos on the second floor) would still be allowed in downtown Cardiff. But limiting the zoning to two stories means that views from properties behind the town center would be preserved. I’m pleased that we were able to find a way to keep a two-story lid on Cardiff, in keeping with the Cardiff Specific Plan. Both the Leucadia and Encinitas downtown Specific Plans allowed for three stories, but subsequently Proposition A eliminated that possibility, which will now be restored if the housing plan passes. Interestingly, traffic studies indicate that when an all-commercial area, like downtown Cardiff or the El Camino Real corridor, transitions to mixed-use development, total traffic decreases because residents generate less traffic than shoppers. The state’s requirement that every city provide more affordable housing will continue into the indefinite future because California is facing a housing shortage. State legislators are enacting increasingly onerous regulations that require cities to accommodate more and more housing. But Encinitas is not going to accept this without a fight. I’m headed to Sacramento this Tuesday to testify in front of the Senate Transportation and Housing Committee, opposing the suggested changes to the density bonus law. After the November election, when our Housing Element is compliant with the law (fingers crossed), Encinitas needs to get serious about all of its programs related to affordable housing. I hope we can find a better solution for the next housing cycle, likely in about eight years. With political will and leadership we can find a solution that provides actual affordable housing in Encinitas without having to upzone. For example, the city could subsidize a program that would preserve affordable housing apartment complexes that already exist in our city, instead of allowing them to fall out of affordability and into higher-cost housing. Wednesday’s meeting was the culmination of a huge amount of work and energy at all levels – from community members who have spoken, written emails, attended workshops, and answered surveys, to our City Council members and professional staff. The Blakespears recently visited Knoxville, Tennessee where my husband Jeremy grew up and his family still lives. 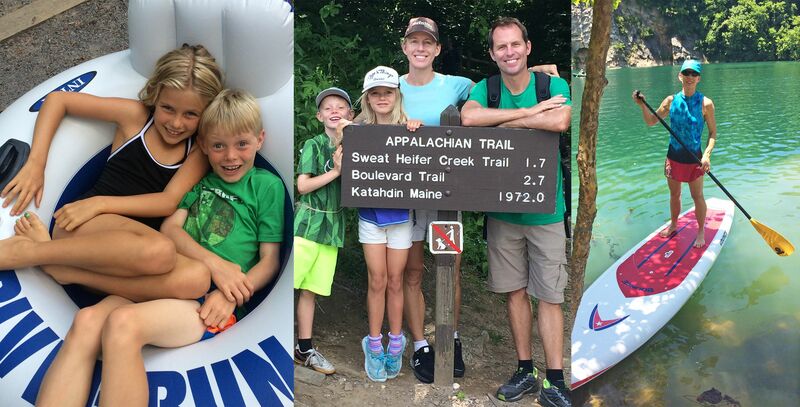 We didn’t hike the entire Appalachian Trail, but we thoroughly enjoyed the rivers and lakes that are so plentiful in the southeastern part of our beautiful country.